Google is competing with other digital payment services and now it has updated its online wallet and digital payments system named as Google Pay. functionality to the users. Google Pay allows you to store information related to your credit card, debit cards, gift cards or reward cards and then you can use it to make payments across participating stores and platforms, online and offline both. Your financial information is not shared with the vendor; rather the transaction is completed through encrypted data packets. 1. Download and install Google Pay app from your Play store. 2. Now you need to add a payment method on Google Pay. 3. 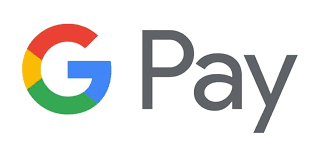 Open Google Pay. Click on the menu option (three horizontal lines) and select the Google account for which you want to add the financial details. 4. Now from the menu, choose the option “My Cards” and then tap on “+” symbol. 5. Now you have to select the option “Add a credit or debit card”. 6. Now you can enter the option manually or click a picture of the card with your camera. 7. You might be asked to verify the payment method, follow the on-screen instructions for the verification. You will receive a code on your phone/email, just enter it on the screen and your payment method is added successfully. 8. If you see any error message such as “This card can’t be added”, then either the card is not acceptable, or the details entered are incorrect. Double check the details and if it still not works, try adding another card. 9. Google might charge a small amount to your card to verify its validity. It will not have any effect on your balance and shall be deleted soon. After you have added the goods/services in your cart, when you are on the payments page, select “Buy with GPay” and just follow the simple on-screen instructions. Look for the GPay logo or NFC symbol near the NFC terminal. Just unlock your phone and hold it near the terminal. Google Pay will launch itself. You can follow the on-screen instructions to make the payment. You can also select any other option other than the default payment method on Google Pay by simply selecting the new option.